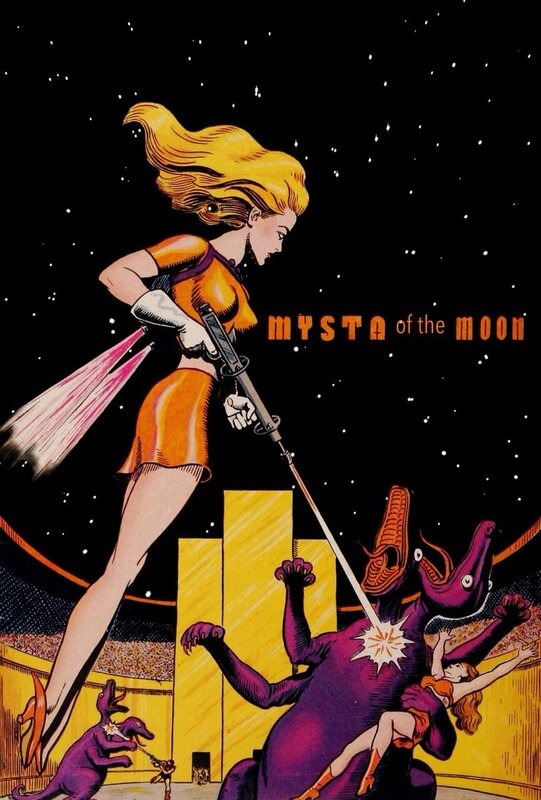 This is cover art from one of the nearly 150 Maghella fumetti comics published in Italy and France in the 1970s and 1980s. 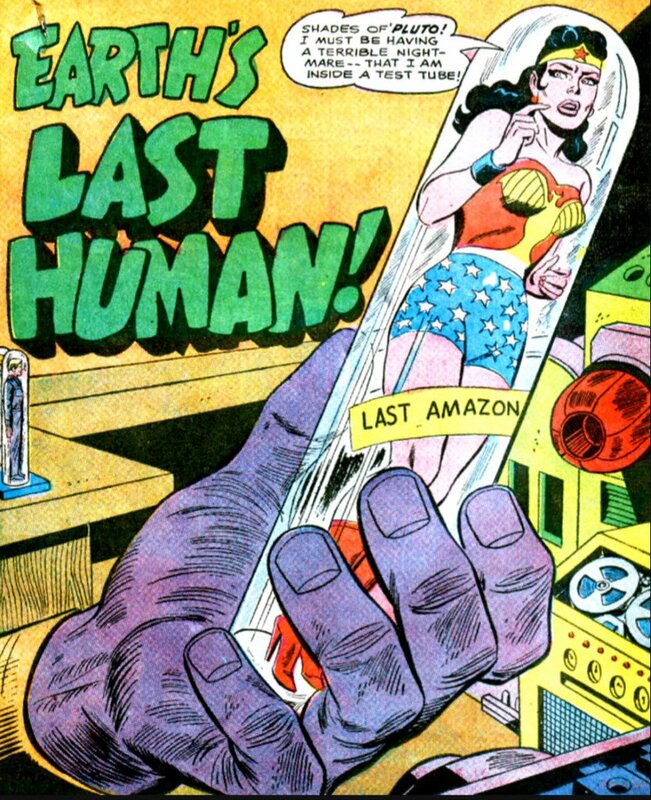 According to this Italian eBay auction it is issue #124 from 1979. On the cover is visible the text “Maghella. Vietato ai minori di seidici anni.” There is an Italian eBay auction here that offers a high quality reproduction of the cover art (without markings); the artist is identified by the seller as Renato Averardo Ciriello. Reblogged from a 20 January 2014 post at Infernal Wonders. 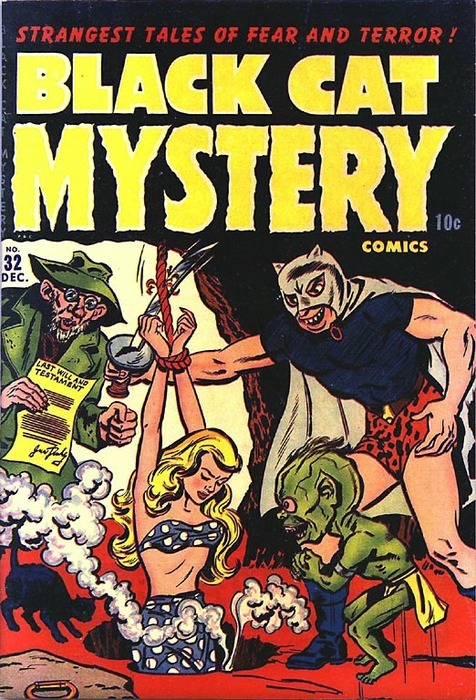 The cover of Weird, Vol. 3, No. 1 (February 1966). I wasn’t able to find out too much about this production of Eerie Publications. The issue has an entry at the Comic Book Database, which gives the cover artist’s name as Chales Eber “Chic” Stone. 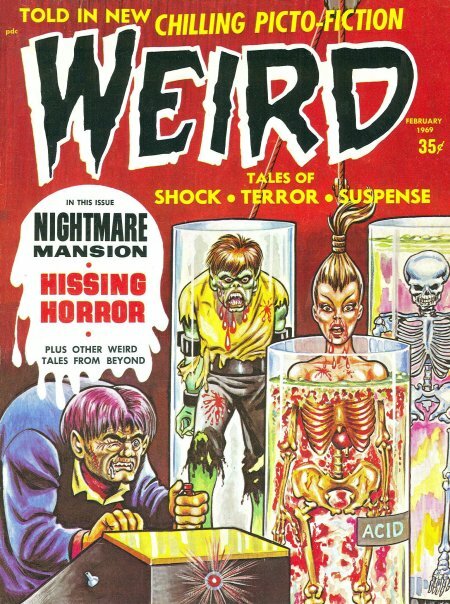 As best I can tell, a lot of Weird’s stock-in-trade consisted of reprints of pre-Code horror comics. Wonder Woman as a tube girl! I cannot say whether she has been captured by a race of giants, or merely shrunk down to test-tube size by an ordinary mad scientist. I originally reblogged this image in this post at Hedonix, after having had it tweeted to me by my generous friend @Brewt.Blacklist. My original tumblr post was here. 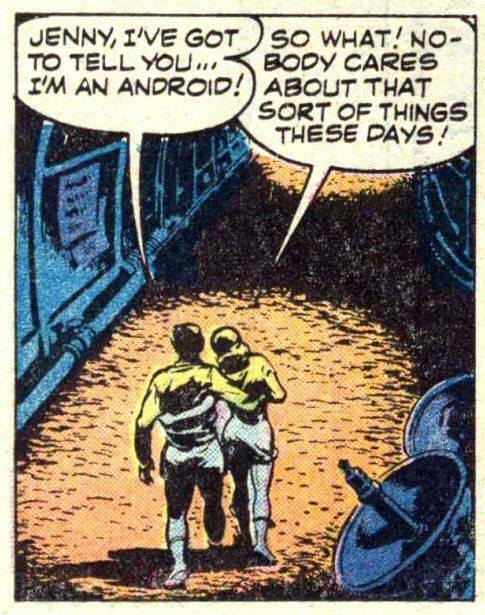 This comics panel was originally posted on tumblr by Vintage Geek Culture and comes to us via Scott P. Vaughn. My original tumblr post was here. This image was originally published on tumblr by pulpbizarre. 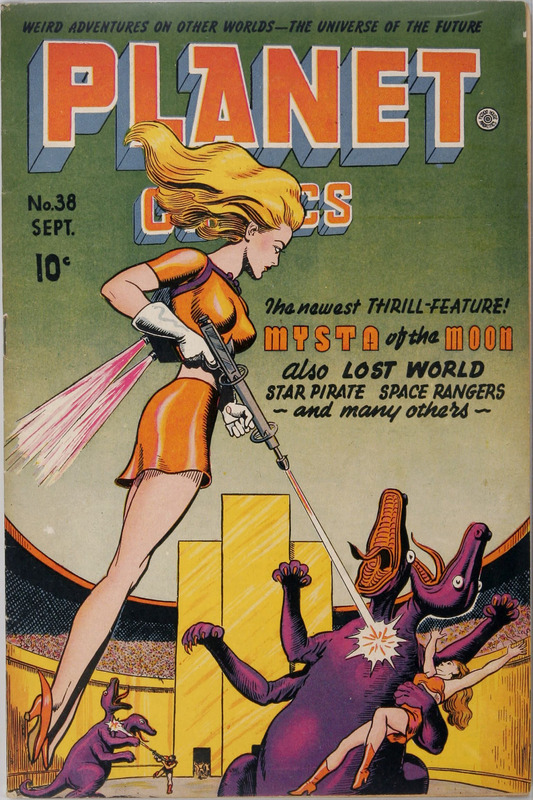 It is the cover of the September 1945 issue of Planet Comics, for which there is a Grand Comics database entry here. 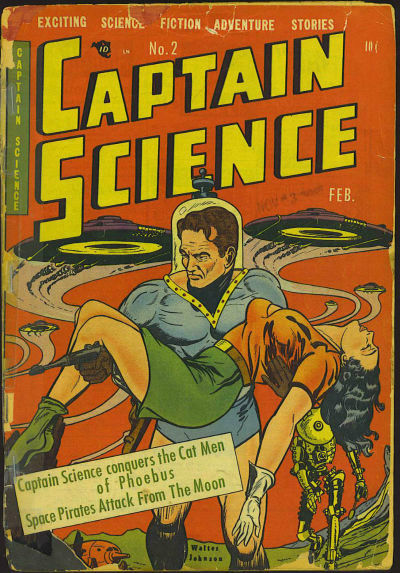 Tumblr favorite #2740: Captain Science, carry that damsel! I’ve often wondered if Captain Science inspired Green Lantern. For one, they have identical origin stories: a bald alien with an unusual skin color crash lands in the American Southwest, who then summons a pilot and then gives him power (either a ring, or grants him advanced scientific knowledge via a teaching machine). 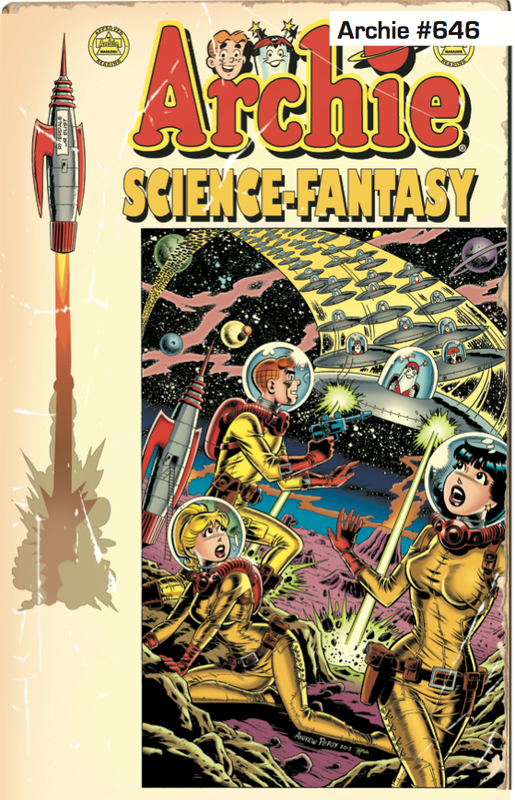 Captain Science came out in 1951; GL came out in 1959.